One week into the Backyard Big Year, I've seen some great birds, including 4 new birds for my overall yard list--Great Black-backed Gull, Gadwall, Common Merganser, American Black Duck. On January 1, I saw 36 species. The next day, I saw four additional species for the year. Since then I've hit a wall, and haven't come up with any new species. 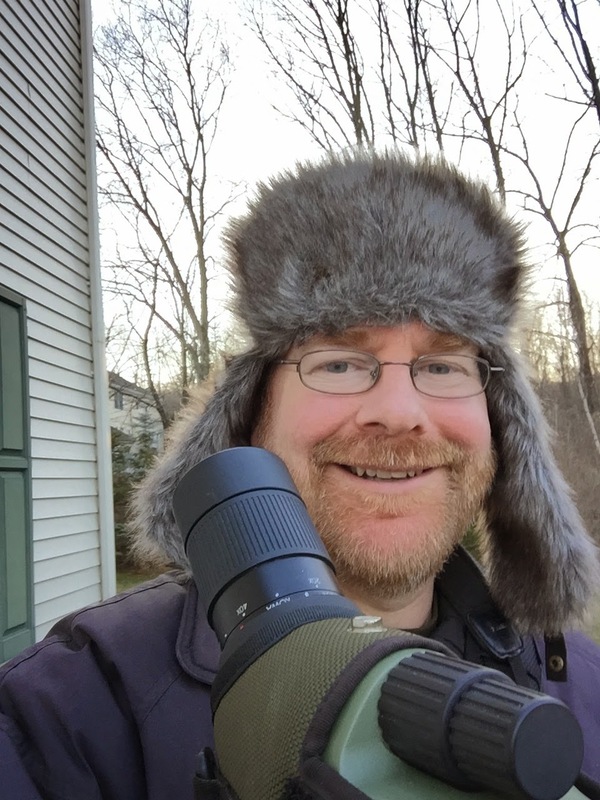 But I'm digiscoping and taking pictures with a goal of getting shots of 150 species in the yard this year--so far up to 25 species. So life is good. I won't post weekly here, but I will post monthly updates and perhaps other highlights. Meanwhile you can check out the daily action on the Backyard Big Year blog or on Facebook. Good for you! I restarted my yard list on the 1st and am up to 22 species this year with the addition of a European starling just today! I had a total of 106 species in my yard last year, the largest total ever for my backyard, but I just moved here last year in February. It helps living near the ocean, so i get woodland species as well as ocean species! Sounds like a fun idea. Maybe you could build a tree stand in your tallest tree? That should up the list a little. It must be challenging over your winter!